From test engineers to managers and support personnel, everyone on our staff brings their own experiences, backgrounds and ideas into the office. Our corporate culture is built on respect and friendship. We support each other so that we can support our many clients. The bottom line is that no matter what projects we are working on, we work together – collaboratively. 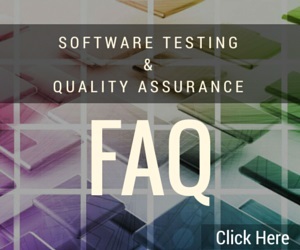 Add in the experience that comes from years and years of testing a multitude of diverse applications and what you end up with is a powerful quality assurance company fully capable of helping you perfect your software products. In 1981, Evan founded the company that eventually became Beta Breakers Quality Assurance Labs. For more than 3 decades, Evan has been and remains responsible for keeping the company’s focus sharp and service suite fresh. He is the driving force behind the firm’s marketing campaigns and occasionally even slips into a sales role in order to stay close to our clientele. His “open door policy” makes him very approachable both by the company’s clients and staff. For those times when he temporarily lifts his finger from the pulse of the firm, Evan enjoys donating his time teaching computer skills to grade-school students and spending quality time with his wife and two young daughters. Bob joined Beta Breakers in 1992 and quickly established himself as a company stalwart with great leadership and organizational skills. Bob immediately put his stamp on the labs and helped the entire management staff shape Beta Breakers’ service offerings. He soon became Evan’s “right-hand man” and assumed the title of Vice President in Year 2000. Today, Bob’s main responsibilities include overseeing all of the various projects under test as well as continuing to make recommendations for improving the company’s service suite. Jeremy joined Beta Breakers in September of 1999 as a quality assurance engineer. By July of 2000, he had demonstrated such a high level of technical competence and multi-tasking ability that he was promoted to Project Lead. Jeremy is primarily responsible for coordinating and managing testing efforts, defining, creating and evaluating test plans, and overseeing all documentation necessary to complete any QA project. 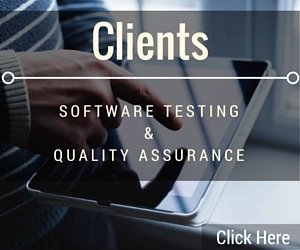 He particularly excels as a lead for projects requiring heavy software and hardware compatibility testing. During his long tenure here at Beta Breakers, Jeremy has led projects of various types and scopes and his dedication to seeing a project through to the end is unmatched. Damon became a part of the Beta Breakers family in August of 2011. With a 15-year background in managing both product development and quality assurance teams, Damon brings a unique blend of viewpoints to the teams he manages. During his time at Beta Breakers he’s taken small teams of testers and organized them in such a way as to address the requirements of a large set of distinct projects. Always in demand, and with an upbeat attitude and clear vision for success, Damon just gets things done. From finance and budgeting to meeting tight deadlines and crafting streamlined test plans, his straightforward nature fosters great productivity. When not at work, Damon likes to spend time with his family playing games, reading, or relaxing out in the yard. Greg has been a part of the Beta Breakers team for more than 16 years. As IT Manager, Greg is tasked with making sure the labs are replete with everything the QA Engineers require to achieve their quality assurance objectives. He keeps up-to-date with cutting-edge technology, maintains the servers and databases, and makes recommendations for lab purchases. Overall, when something is not working correctly, Greg is a troubleshooting expert and both the QA Engineers and Project Leads rely on him to keep the labs in perfect working order.